The Force Awakens, now having earned $812 million domestically and $1.7 billion worldwide has destroyed box office numbers with ease. 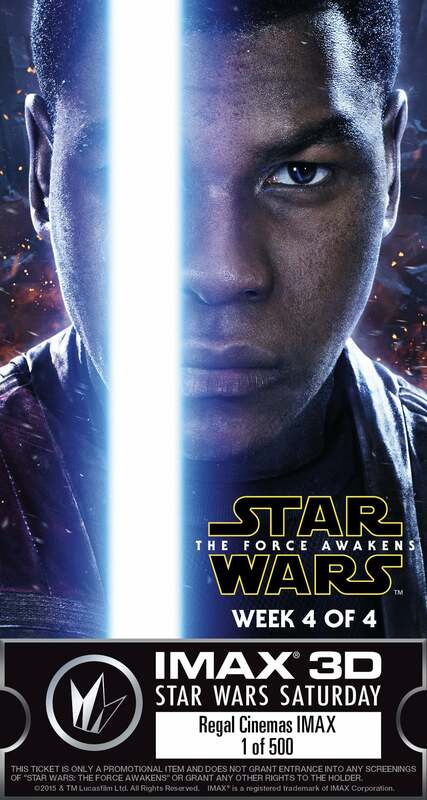 The Force Awakens now holds the crown in the U.S. and will soon hold the crown worldwide. Avatar and Titanic stand in the way of the number one slot worldwide. Regal Theaters began their promotion with a BB-8 popcorn tub. 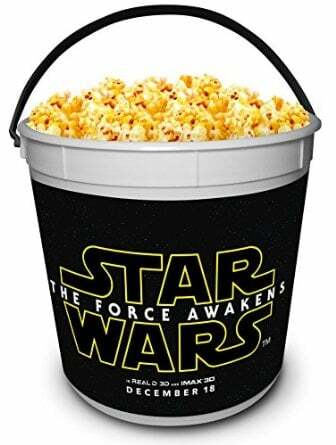 This tub was received with the purchase of a large popcorn and it was released prior to The Force Awakens theatrical debut. 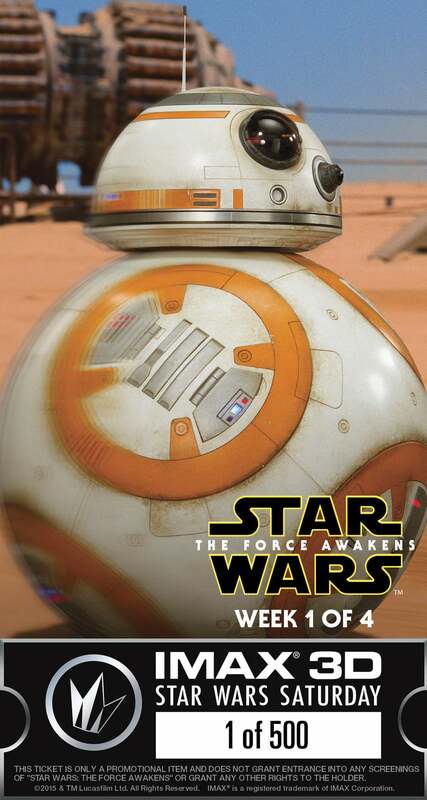 The BB-8 image on the tub was to help promote the film. Regal Theaters also released cup toppers the day the movie came out. The cup toppers included: Rey, Chewbacca, Kylo Ren, Snowtrooper and BB-8. Some of the best promotional items at Regal were the commemorative tickets. The tickets were included for the first 500 people who purchased an IMAX 3D ticket on Saturdays. There were four weeks of tickets beginning on December 19th and going through January 9th. The tickets are made of durable plastic and have a ticket number out of 500 printed on them. BB-8, Kylo Ren, Rey and Finn were featured over the four weeks. AMC theaters also had some great promotional items. 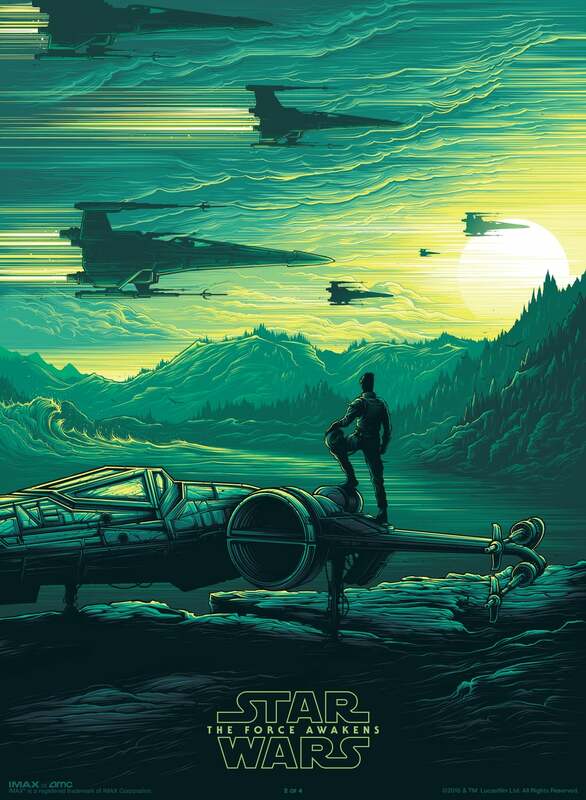 Every Sunday from December 20th through January 10th, every fan received a commemorative poster with their purchase of an IMAX 3D showing (while supplies lasted). 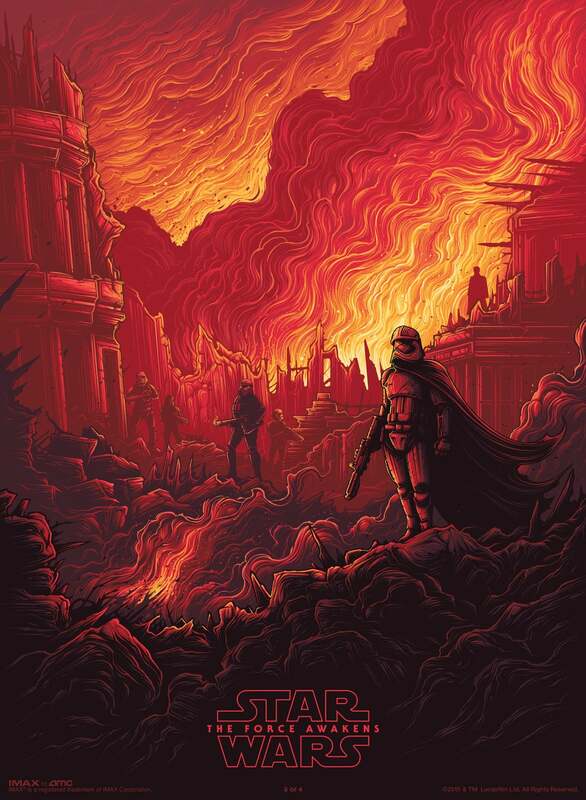 The posters featured, Rey and BB-8 on Jakku, Poe Dameron, Captain Phasma and The First Order on Takodanna, and Kylo Ren vs. Finn on Starkiller Base. The posters measure 9.5x13 inches and have a numbered week out of four on them. The art is fantastic and the colors really catch your eye. These are great collector's items. In addition to the posters, AMC also had a slew of popcorn and cup promotions. 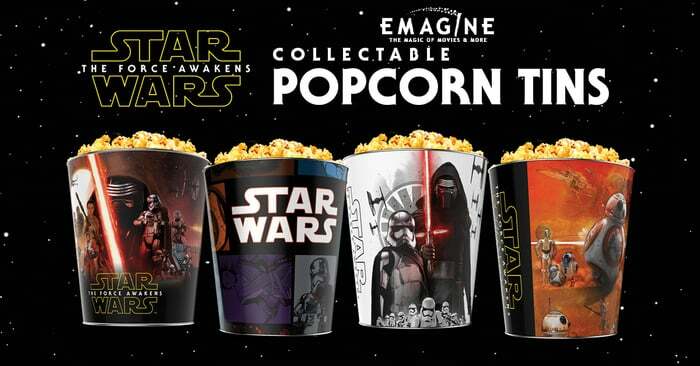 The popcorn bags had images of the First Order Stormtroopers from the Starkiller Base and the cup (which also features a First Order Stormtrooper) was also available when getting a large drink. Cinemark Theaters across the nation killed it with their release of four different Star Wars themed 3D glasses. 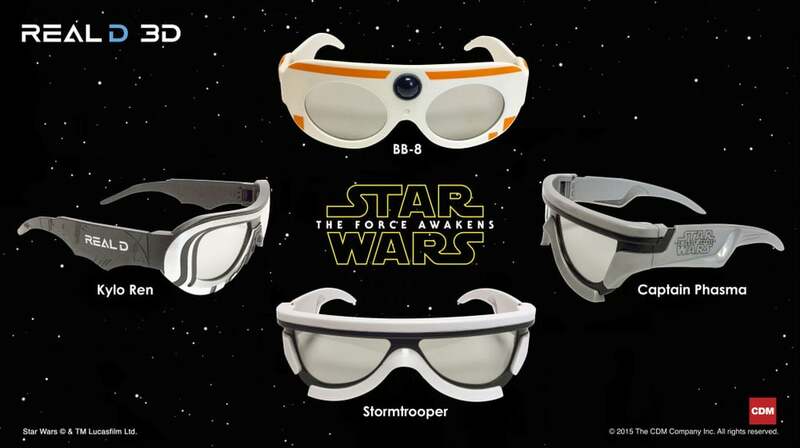 First Order Stormtrooper, Captain Phasma, Kylo Ren and BB-8 glasses inspired glasses were all released. These glasses were released in consecutive weeks beginning on November 6th and going though November 27th. Cinemark Theaters also had a Captain Phasma collector's cup and a Captain Phasma themed gift card available. Star Wars is alive and well and it is exciting to be able to head to the theaters to see The Force Awakens on the big screen. Make sure to continue to check back to Twin Suns Outpost for more information on the movie and collecting. A Look at "The Perfect Weapon"